One of the top picks for things to do in Florence in June is to join in on Calcio Storico! 'Historic Soccer', 'Soccer in Costume', 'Medieval Football', these are all attempts to translate the untranslateable - something that is inherently Florentine and one of the city's oldest and most loved traditions. June is also the month of the Patron Saint of Firenze, St. John the Baptist. Festivities include a breath-taking fireworks display over the Ponte Vecchio. The 2nd of the month is a national holiday, the Festa della Repubbica when the country celebrates the foundation of Italy as a democratic republic. And as the temperature rises, cool off while enjoying a musical evening in the historic churches in Florence where live performances are put on daily of the most popular operas and classical music pieces. Read below about all the things to do in Florence in June 2016. 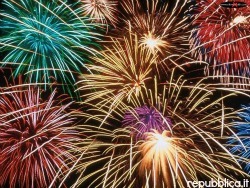 June 2 is Republic Day, a national holiday. It was on June 2 in 1946 that the vote was held to decide, after the fall of the fascist party, whether Italy should remain a monarchy under the House of the Savoy or become a democratic republic. The citizens chose the latter and the Republic of Italy was founded. 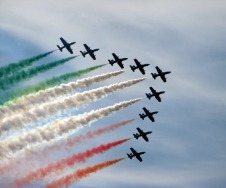 La Festa della Repubblica celebrates this historic day. The major festivities are held in Rome but Florentines celebrate too with a wreath laying ceremony in Piazza dell'Unità and the raising of the Flag in Piazza Repubblica. A procession of the Florentine Republic in elaborate renaissance dress and a marching band accompany city representatives and military officials at events. A Florentine tradition that dates back to the 1450's this sport - referred to in Italian as both Calcio Storico (historical soccer) and Calcio in Costume (soccer in costume) - is one of the most exciting appointments of the year on the Florence events calendar. 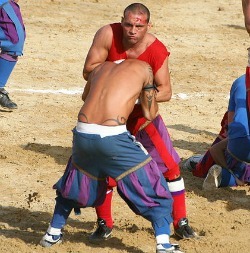 Each year a competition is held of this ball sport that is a combination of soccer, rugby, football and wrestling, all played out in renaissance costumes. The playing field is piazza Santa Croce which is covered in sand for the occasion following the historic rules of the game. The tornament is between four squads for different parts of the city, each vying to win the match for the pride of their neighborhood. Calcio Storico is famous for its extremely physical and often times very violent type of play (basically anything goes as long as you take possession of the ball). The excitement is multiplied by the largest procession of the year put on by the whole of the Florentine Republic including the famous sbandieratori (flag throwers) and marching band who perform for the public. An absolute must for things to do in Florence in June! June 24 is the feast of Saint John the Baptist, patron saint of the city. Every year festivities include a magnificent fireworks display which lights up the sky over the Arno river and the Ponte Vecchio. Pyrotechnics are shot off from Piazzale Michelangelo, the panoramic terrace just over the city, but there are a couple of other best places to view the show from. Any spot along the north side of the river just along the banks of the Arno or from Ponte Santa Trinità, which gives you a great view of the Ponte Vecchio with the colored sky bursts just above the bridge (perfect for photos). This is one of the most fun and traditional things to do in Florence in June and it's free too! 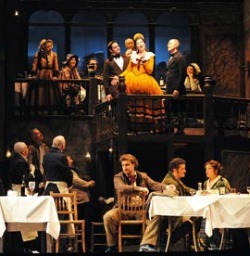 The art form of opera got its start in Florence in 1597 with a work called Dafne by Jacopo Peri. The combination of drama, music, singing. extravagent costumes and exciting scene changes still make attending an operatic performance of the the favourite things to do in Firenze. Add to this the intimate setting of a historic church and what do you get? A one-of-a-kind atmosphere for an unforgettable evening. Florence hosts a festival of sacred music performed in some of the cities most suggestive settings. Sunday 12 June at 5 pm: in palazzo Bardi, arias from the birth of opera are performed (in via dei Benci, no. 5) Reservations are required for this concert, see site link below. Monday 13 June at 9 pm: in Santissimo Annunziata church in piazza Santissima Annunziata, a soprano and lute player perform 'light and dark'. 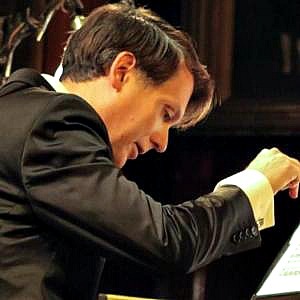 Additional concerts held on June 14, 15, 16 at other locations (see link with program) that aim at creating a connection and harmony between music and painting in original performances. 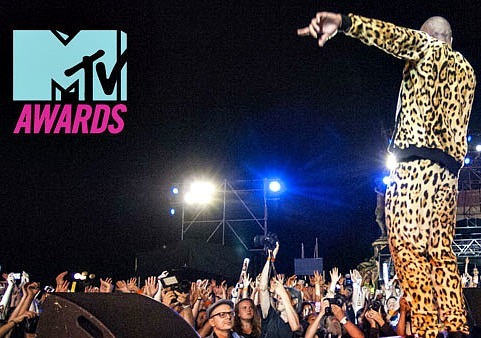 The MTV video awards come back to Florence! One of the best things to do in Florence in June that is also off-the-beaten-path and free of charge...does it get any better? At the city's largest park - the Cascine - the award show is held outside on the 'great lawn' so it's also a fantastic way to spend a summer evening all'aperto. Audience members vote for the best performers as the top videos and hits by Rihanna, Ellie Goulding, Beyoncè, Justin Bieber and other favorites are played. There are also live performances from some of Italy's biggest pop stars: Alessandra Amoroso, Alessio Bernabei, Emma, Elisa and others. 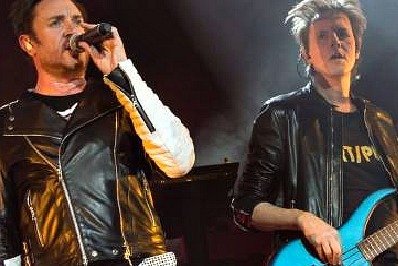 Coming out of Birmingham in the 1970s, Duran Duran at this stage of their career can boast having sold over 70 million records. Apart from performing tracks off their latest cd, the group will be thrilling the crowd with their major hits like Hungry Like a Wolf, Save a Prayer, Ordinary World and more. The venue, Ippodromo, is the horse racing track so this is an outdoor event held in the city's biggest park, a great way to spend a summer night for rockers! 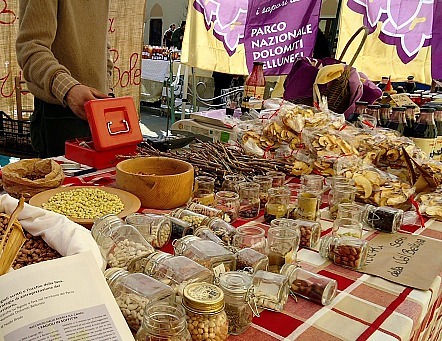 Piazza Santo Spirito has been home to the Fierucola market for decades, and it's a perfect fit! This simple and old-world square with its unadorned church facade is an apt location for an outdoor market catering to tradition and country-life. Homemade goods abound, both eatables and wearables and more....cakes, breads, jams, spices and herbs (all organic), ceramics, straw baskets, hand sewn clothes, accessories and the list goes on. Whether you're looking to buy or not, the atmosphere is lovely and peaceful and the artisans love just chatting about how they make their goods. One of the great things to do in Florence in June that's off the beaten path! 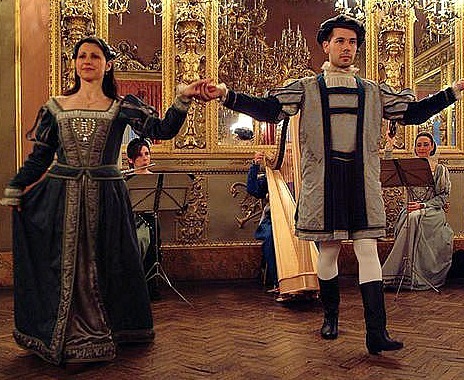 On June 24th, just nearby, the final match of Florentine renaissance soccer will be played in piazza Santa Croce, and to celebrate this special date, the Relais Santa Croce has organized a Renaissance Night complete with dinner and historic dances. In this lush palace from the 1700s your hosts will be dressed in medieval and renaissance garb, carrying out the festive traditions from over 500 years ago, playing period music and instruments and taking part in traditional dances. Guests will be served a full dinner buffet and will also be able to take part in the performances, dress in the period costumes and have their photo taken in the renaissance clothing! 'Cenacolo' is a word that used to mean the large room in a home where the main meal was eaten (in fact, the word contains the modern day Italian word for dinner, 'cena'). In art however a cenacolo is a painting representing Jesus eating with his apostles at the last supper. Cenacoli are usually frescoed wall murals in churches, and Florence is home to many significant cenacoli. If you're looking for original things to do in Florence in July, this combination of dance coordinated with famous cenacoli is not to be missed! Contemporary dancers perform in front of the most well-known cenacoli getting inspiration for their choreography from the art works and images represented. Looking for things to do in Florence in June that are off the beaten path, don't involve museums and are free-of-charge? 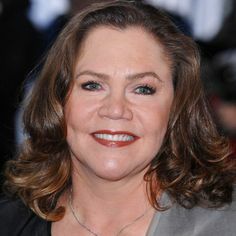 The Florence campus of NYU is holding talks and putting on original theater performances open to everyone and most of the initiatives are also free of charge. Cultural talks about Shakespeare's works, performances of plays, concerts and operatic singing and more are on the program.